Arrive at Waynad by 9.00am. After fresh up and breakfast proceed for sightseeing. You will visit Edakkal Cave. Edakkal Cave is a natural cave situated in Western Ghat’s Ambukuthi hill region. It lies above 1200mtr from sea level.You will find the Neolithic and Old age civilization’s carvings and writings. After this spot you will move to the Wayanad Heritage Museum situated in Ambalavayal. 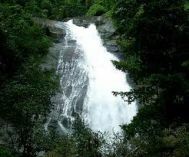 There you can explore the history of Wayanad. After the museum proceeds to Soochippara Waterfalls.